Cozumel Scuba Diving and Amigos Hostel Cozumel! Amigos Hostel Cozumel welcomes YOU! 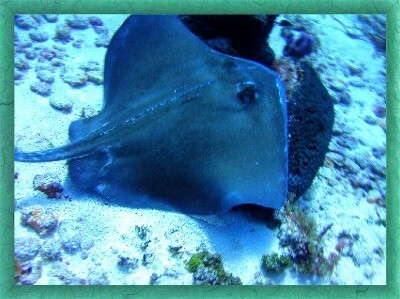 Cozumel Mexico: Scuba Diving in Paradise. Cozumel is the ideal place to practice the sport of scuba diving... Back in the late 50, the famed oceanographer, Jacque Cousteau "discovered" or rather informed the world of, what is now known as the second largest barrier reef system in the world. The Great Mayan Reef as it is now called, starts at the tip of the Yucatan Peninsular just north of Cancun and extends into the Honduras basin in the south Caribbean sea, hugging the coastline of the Mexican State of Q. Roo and the east coast of the country of Belize. Off the south west side of the island of Cozumel is the largest concentration of this reef system thus offering scuba divers at least forty different diving sites. Cozumel is world known for it's crystal clear waters, easy "drift" diving and wonderful underwater life...Why not make scuba diving a part of your Cozumel holiday!!! For the certified diver, Amigos Hostel Cozumel works with some of the best and safest dive operators on the island. Email us for more details! Not a certified diver? 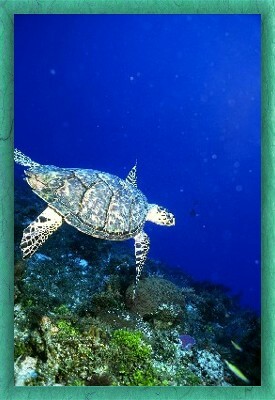 Don't despair... You can still experience the underwater world. The options available for the non diver include a "resort" introduction course or a full PADI certification... Both courses are taught by a PADI certified instructor who will hold your hand the entire way , making sure you enjoy the sport he has come to LOVE. The resort course is a few hours of time and will be a one time introduction to scuba diving;. The full PADI certification is an intense 3-4 day course which will consist of lessons in theory, shallow skill sessions and then deeper practice dives. Upon completion, you leave Cozumel a fully certified diver, able to dive in all the corners of the world... to find more out about the courses, email us at cozumelhostel@gmail.com or Call 987-872-3868 or cell with whatsap 987-119-9664 during office hours 8:15 am to 10 pm. .
Instructor with two people learning the skills for scuba. This could be YOU! Amigos Hostel Cozumel where Flashpackers will feel at home! Cozumel Hostel, Amigos, awaits you!! Scuba Diving HQ: categorized resource directory for everything about scuba diving. Amigo's would like to thank Victor Brito and his clients for allowing us to use the various underwater and scuba diving photos found on this site. Thank you Friends!